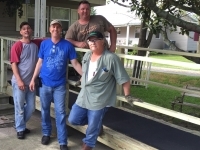 Another wheelchair ramp in St. Charles Parish has been completed thanks to the incredible partnership between United Way of St. Charles & Zachry. Read more about how Zachry volunteers spent their Spring Break holidays. 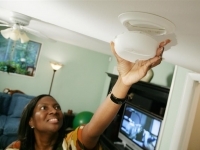 Smoke Alarms: Have you Checked Yours Lately? Did you know the risk of dying in a home fire is cut in half in homes where the smoke alarm is working? Learn about one local family's story & how you can help St. Charles Parish residents prepare their homes for fire safety at our Day of Action on Saturday, April 11th. Read more about Smoke Alarms: Have you Checked Yours Lately?